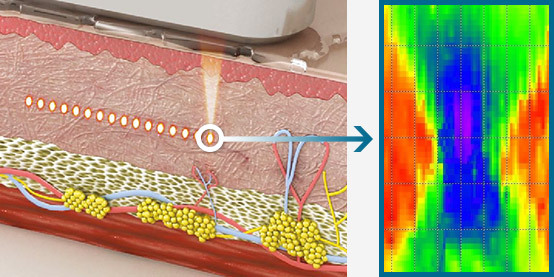 Aesthetic ultrasound treatment works by using special transducers to focus ultrasound energy specifically on small focal points of subcutaneous tissue (to a depth of approximately 5mm). 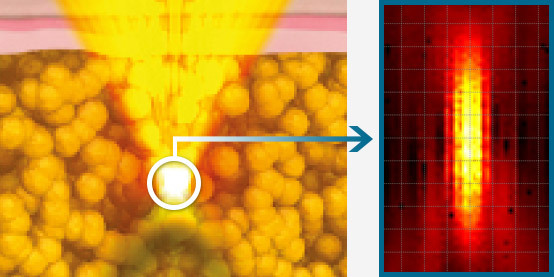 This provides a burst of very high temperature (greater than 60°C), producing small (<1 mm3) thermal coagulation points. 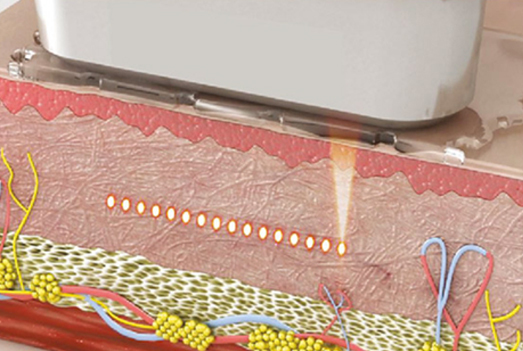 The intervening dermal and epidermal layers of skin are not affected, as the ultrasound beam passes harmlessly through the skin to the focal point. Collagen fibers at these coagulation points become denatured; they contract and are stimulated to produce new, stronger and better organised collagen fibres. Ultrasound treatment is well tolerated by most patients, who generally experience little if any downtime, some immediate improvement in skin tone and quality, as well as improvement in skin and tissue tightening over time. Patient satisfaction is generally very high. 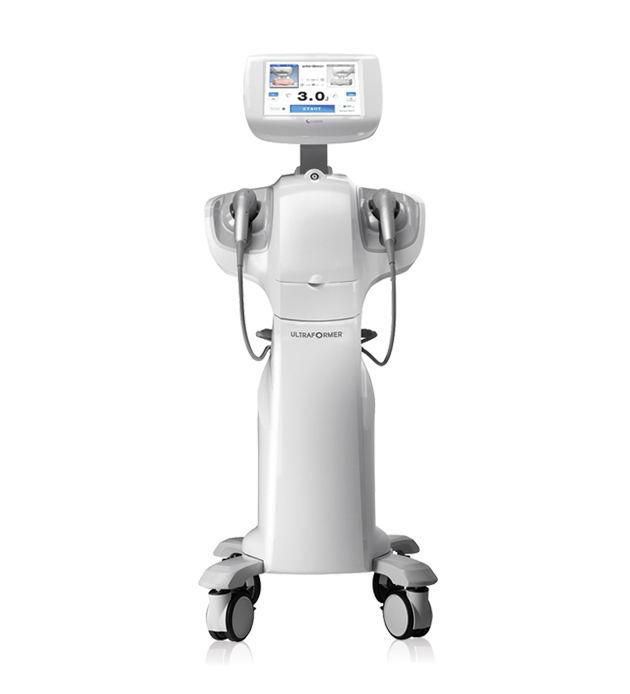 Cryomed has observed significant advances in ultrasound technology over recent years; we have selected several devices based on their innovative design and features, their proven clinical efficacy, and their excellent return on investment for aesthetic practices. 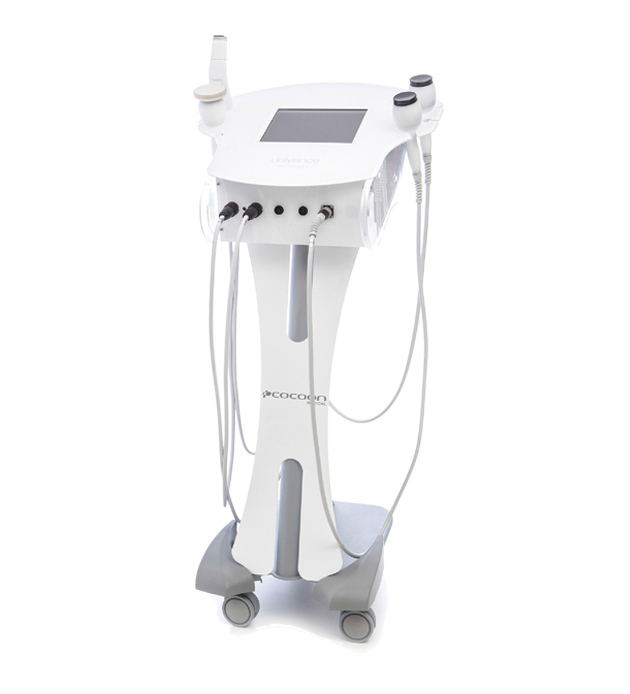 We have also included devices that combine ultrasound with other technologies for multiple treatment indications and optimal results. We believe this is an excellent strategy for maximising patient treatment options, and we expect to see more combination-technology devices in the future. The advanced devices in our range enable patients to achieve results that previously were only available if they were to undergo highly ablative treatments. with minimal downtime and significantly reduced risk of side-effects. 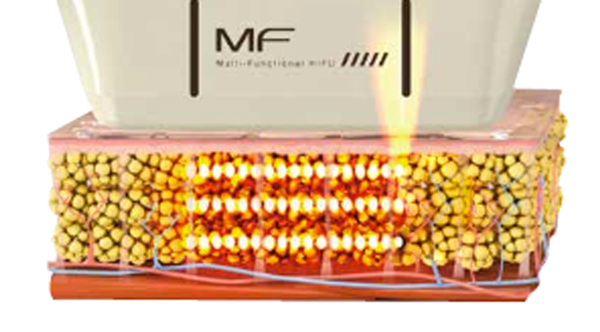 MFU: Micro Focused Ultrasound uses lower levels of energy to treat superficial layers of skin, and works by precise heating of the target area, the end point of which is increased synthesis of collagen. MFCU: Macro Focused Circular Ultrasound: perpetual operation circular shot with high intensity peak power. 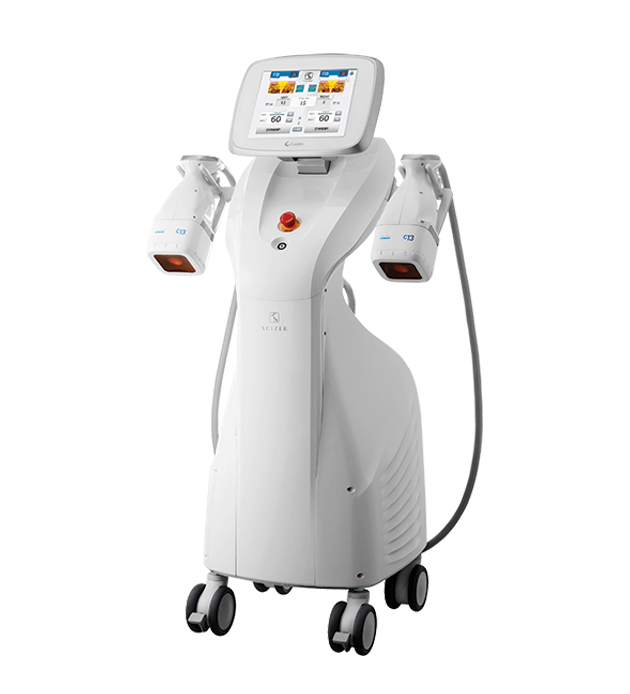 It delivers extensive projection of ultrasound energy deep into the subcutaneous fat layers. Distribution of ultrasound energy is precise and constant. 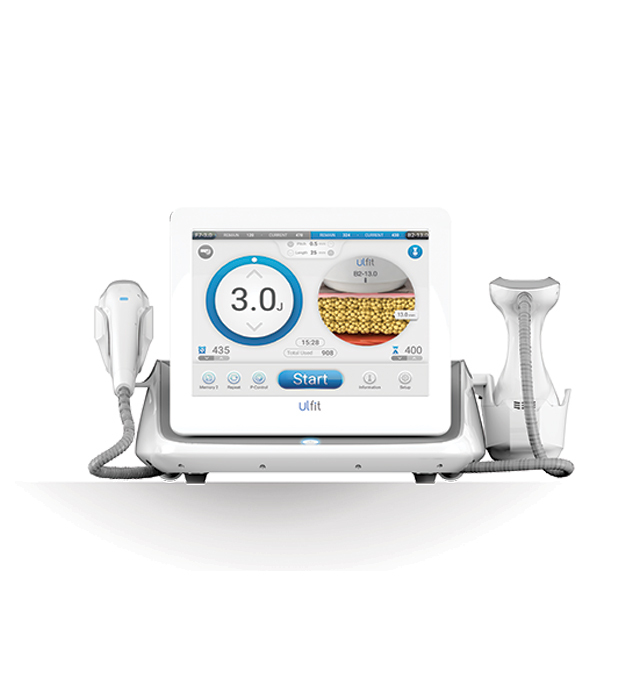 HIFU: High Intensity Focused Ultrasound does not disrupt the epidermis, but is transferred into deep structures such as deep dermis, boundary layer of deep dermis and subcutaneous fat, fibrous tissues of subcutaneous fat, and fascia. A relatively recent development, it is proving an excellent technology for skin tightening and subcutaneous fat reduction.